It was a big, fantastic, fun, filled-to-the-brim sort of year here. It's hard to believe that 2013 is nearing a close. But old years end, and new ones fly in, whizzing and spinning with the unknown. And I will be greeting this one with friends and fizzy drinks and fireworks. 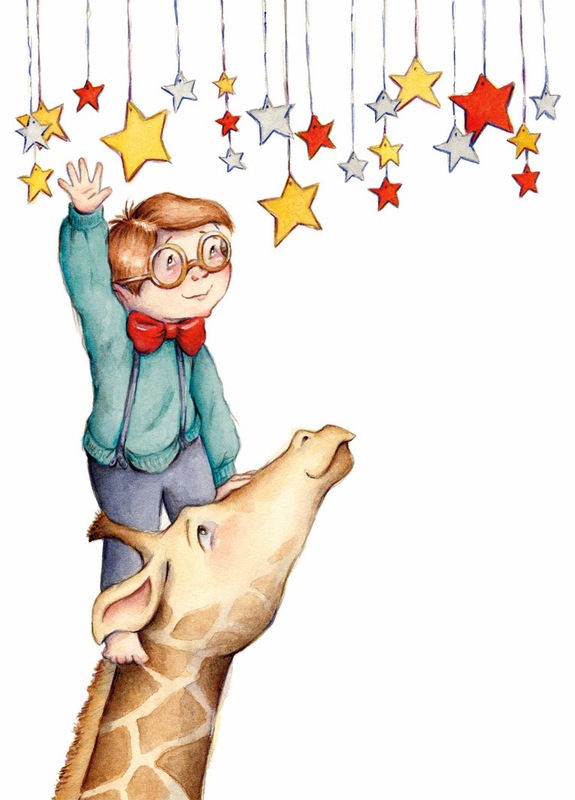 Wishing all of you a bright, sparkling end to the year, and may your 2014 be chockfull of stupendous, extraordinary things! I know it's been ages since I posted new work. It's been a busy fall... and winter. Right, it's December. Yeep! When did that happen? I say busy, but I also mean excellent. Life has been completely and totally swell of late. After the wedding (currently working on a post about that...), there was a trip to New Orleans for illustrator fun times, the holiday mishmash that was Thanksgivukkah (I'm sad I won't get to use this word again for several decades), prepping for and moderating the SCBWI illustrator panel last week, jobs (right, work), family whatnot, holiday things, and a whoooole lot of drawing and painting (including two new dummies!). Yep, all in all, it has been pretty grand. Since things have been so happy and excellent of late, I wanted to share a little piece that makes me grin like a fool from dummy #1. For those of you who are illustrators, if you're like me, you mimic the faces of your characters as you draw them. Frequently when working I take photobooth pictures and keep a mirror handy, not just to check out my ridiculous mug, but to really nail the emotion of the character. Making this piece was an incredibly fun and joyful experience. I couldn't help smiling. SCBWI, illustrators, and logos, oh my! Yesterday night, I had the immense pleasure moderating a panel of illustrators for SCBWI Metro NY. I've been volunteering with the local chapter and organized a talk by a fantastic group of local illustrators - David Gordon, Brett Helquist, Kelly Light, and Dan Yaccarino. 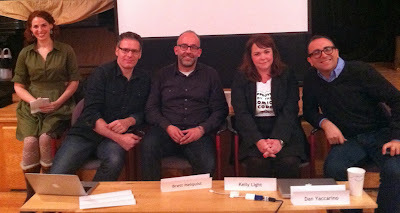 It was the first time I've ever moderated a panel, and I was just a touch nervous. 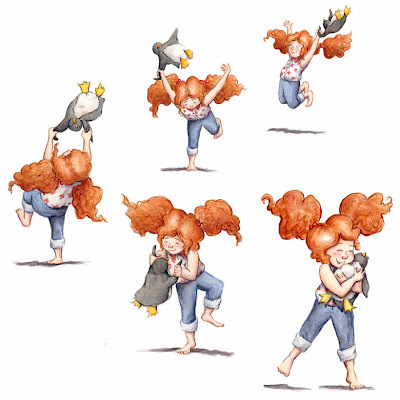 But all of the illustrators on the panel were so warm and lovely, it turned into a very comfortable conversation about process, the ins-and-outs of an illustration career, and finding community. Each panelist gave a brief presentation about their work, process, and current projects. I don't know about you, but I LOVE seeing how other artists work. After the presentations, I asked a whole bunch of questions and then opened up for further Q&A from the audience. It was a warm and wonderful evening filled with wisdom, encouragement, and a whole lot of inspiration. We also used the evening to unveil the chapter's brand-spanking-new logo. After a several-months-long logo contest that spanned the five boroughs, our two amazing judges—art director, Laurent Linn, and art rep, Christine Tugeau—chose a grand prize winner and two runners-up. 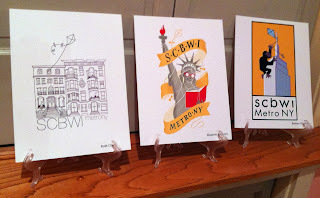 The winning entry, by Elizabeth Baddeley (a super talented illustrator and former classmate from SVA), really represents SCBWI, NYC, and the field of children's illustration in a unique and wonderful way. 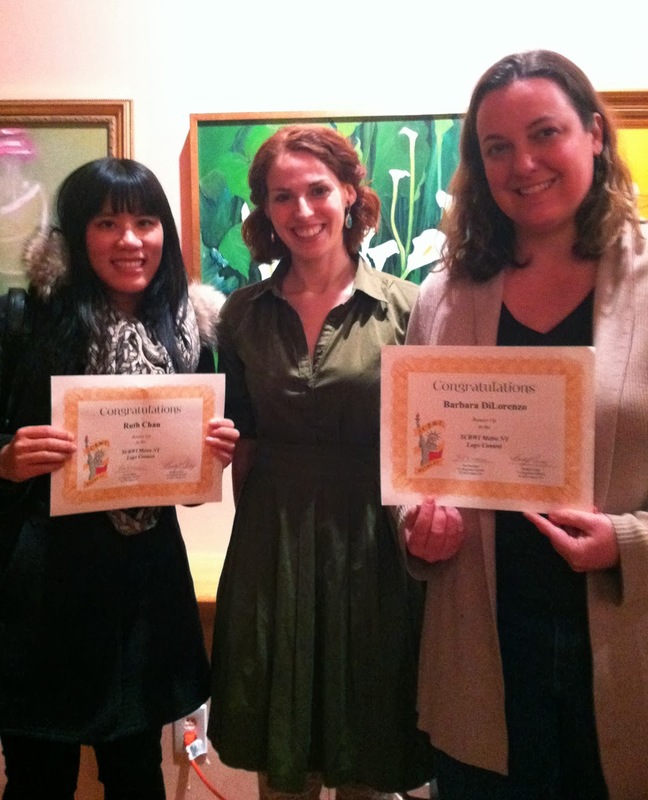 The two runners-up, Barbara DiLorenzo and Ruth Chan, both submitted fabulous pieces. Our new logo! Ta da! We loved it so much, we even put it on a cake! The three winners. Work by Ruth Chan, Elizabeth Baddeley, and Barbara DiLorenzo, respectively. 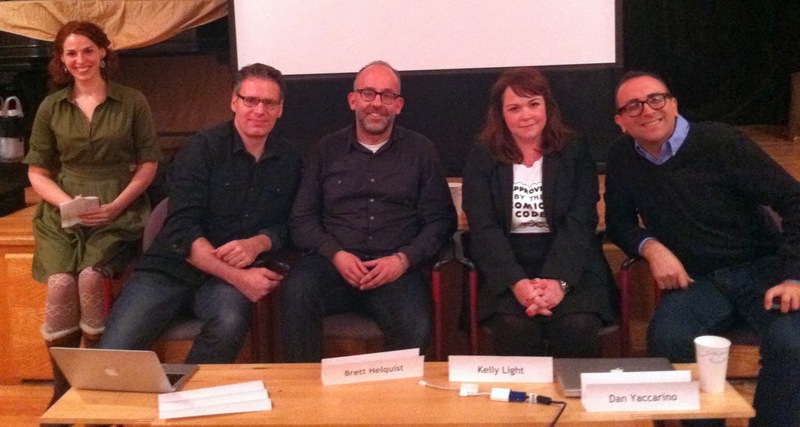 Many many thanks to the four fabulous panelists for participating! Likewise, an enormous thank you to all of the participants in the logo contest. 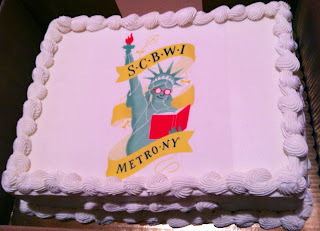 And last, but not least, many thanks to the SCBWI volunteer staff for helping put on such a great evening.